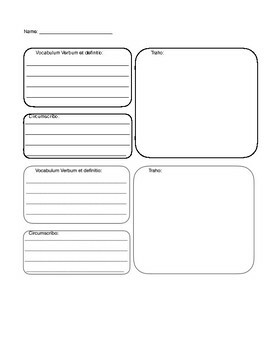 I specifically use this for vocabulary study in my Latin classroom, but it could be easily adapted to work for students learning other languages. 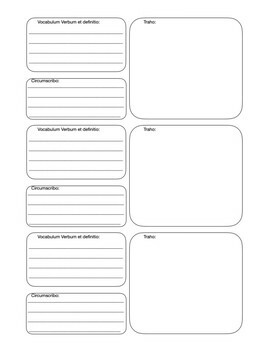 Printed as a front and back, students will practice each vocabulary word by writing the word, its definition, drawing the word, and writing a sentence using the word. You may choose to have them do these tasks in the target language or their native language.